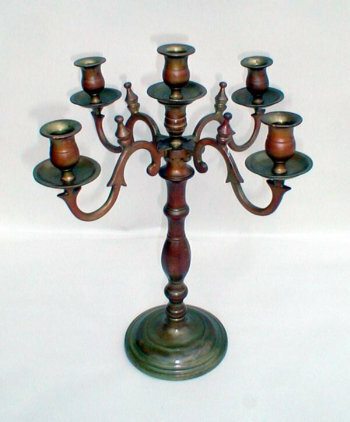 Beautiful and massive early 19th Century Russian five light Sabbath Candelabrum. Original dark brown-cinnamon patina with shades of green. Detailed detachable arms are notched for perfect balance. The candelabrum rises from a knopped baluster stem set on a round slightly domed base with banding.